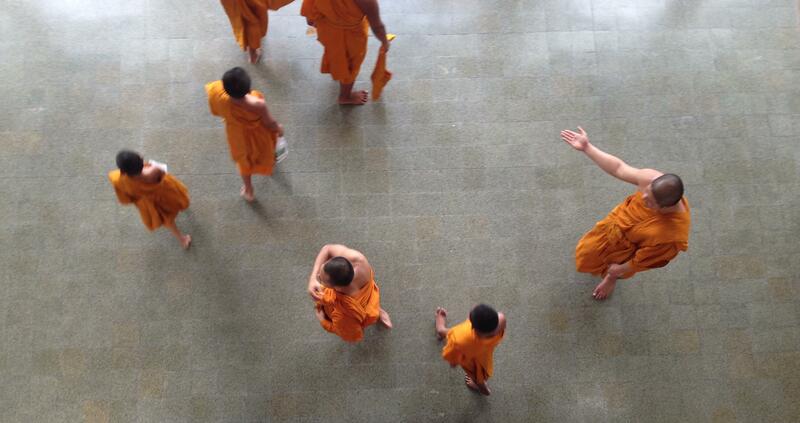 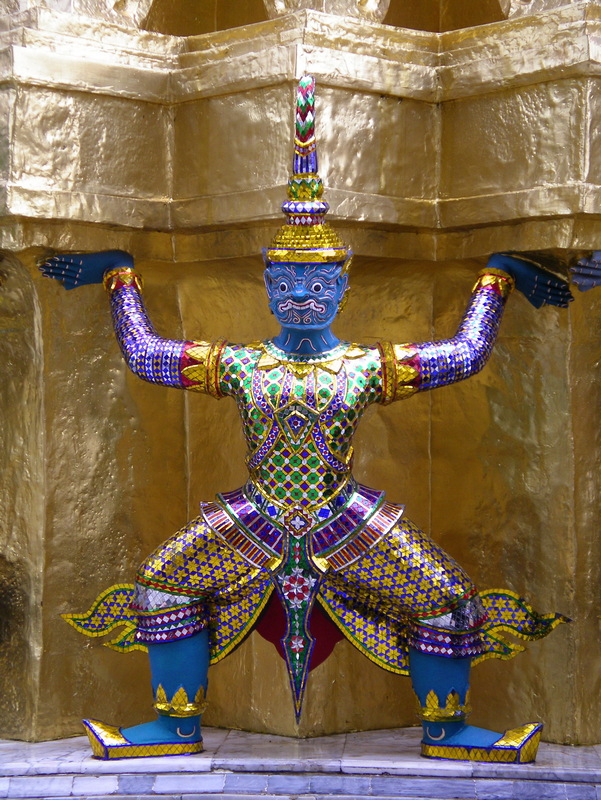 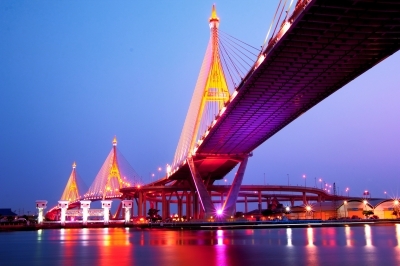 NAPSS… woke up Bangkok in 2015! 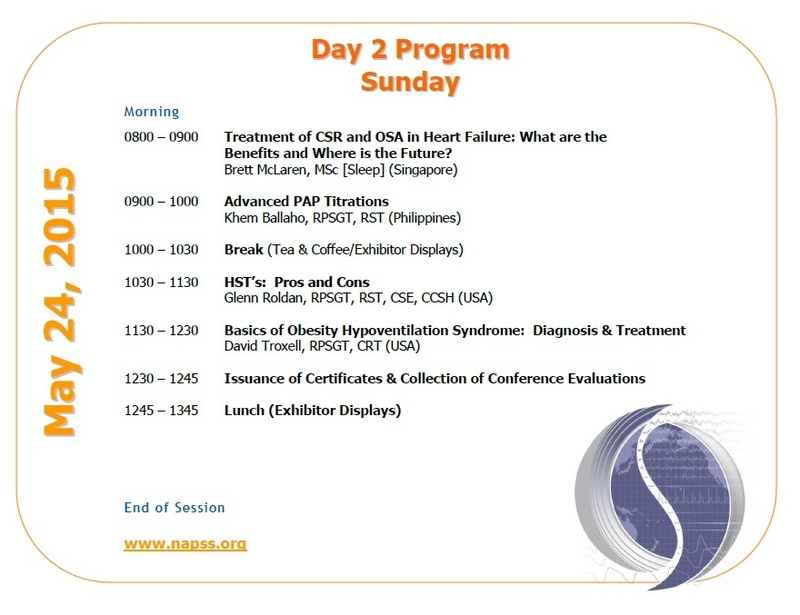 This program is approved for 11.0 Continuing Sleep Technology Education (CSTE) credit by the American Association of Sleep Technologists and pending approval for 11.0 Continuing Education Units through the American Association for Respiratory Care (AARC). 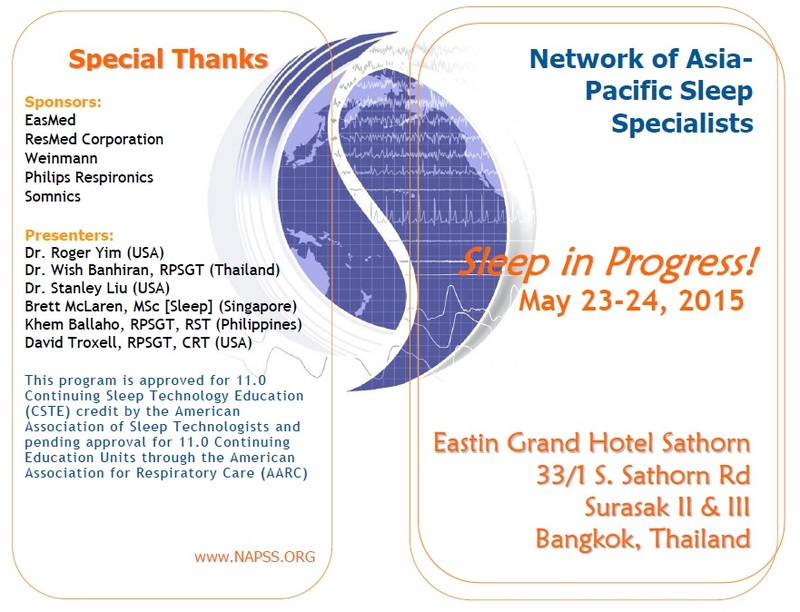 This entry was posted on October 9, 2014 by NAPSS Admin in Announcements, Meeting and tagged 2015, bangkok, BKK NAPSS, carol yoshimura, cpap titration, electrode placement, exhibitor registration, glenn roldan, NAPSS, physician, polysomnography, RPSGT, Sleep conference, Sleep education, Sleep training, sonia lee-gushi, Thailand sleep education conference, training.